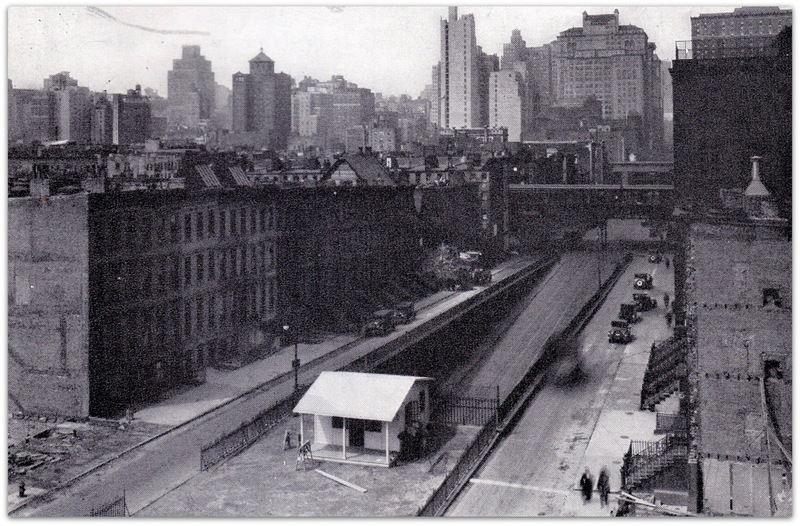 42nd Street, looking west from the Tudor City Bridge, then and then and now. Most everything in this pre-Tudor City view has been demolished or reworked, including, from left to right, the rowhouses where The Woodstock and Hotel Tudor now stand, the 2nd Avenue El and the service ramps leading up to Prospect Place. 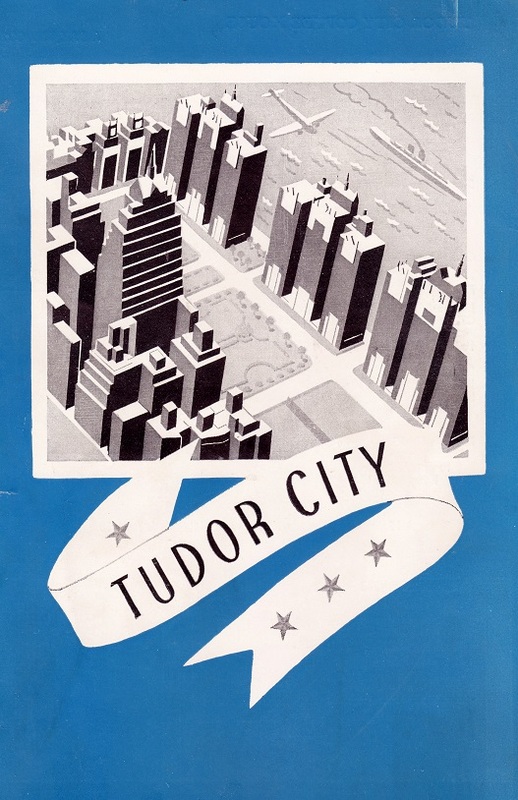 We believe that the little white hut (bottom center) is the first Tudor City Rental Office. 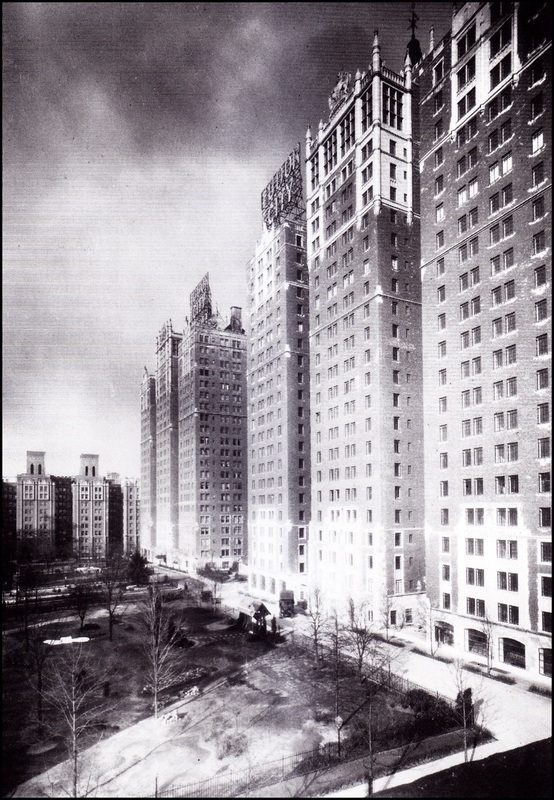 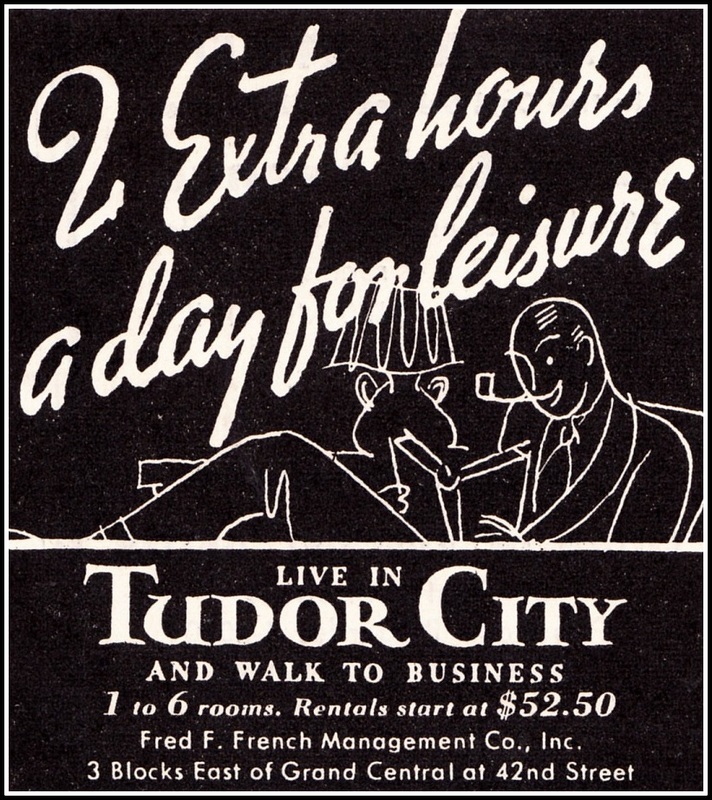 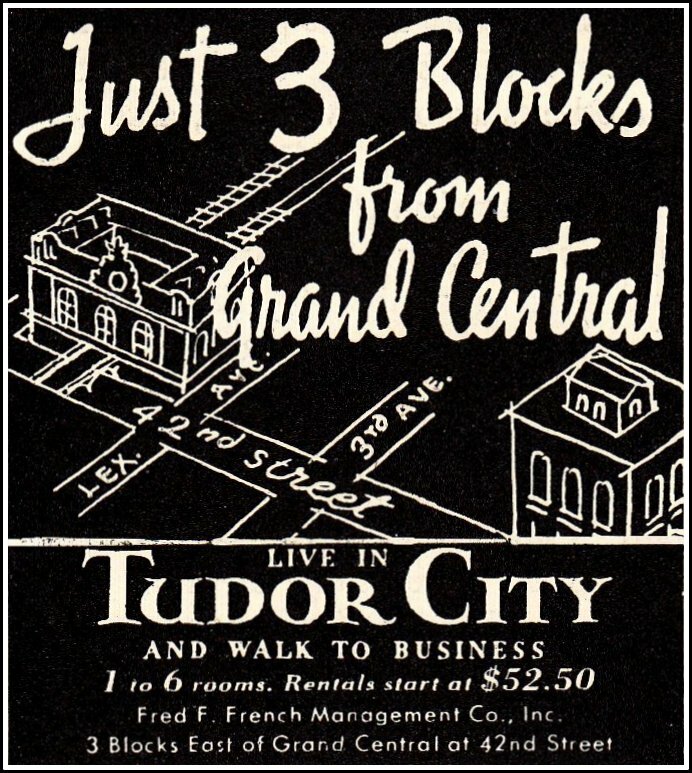 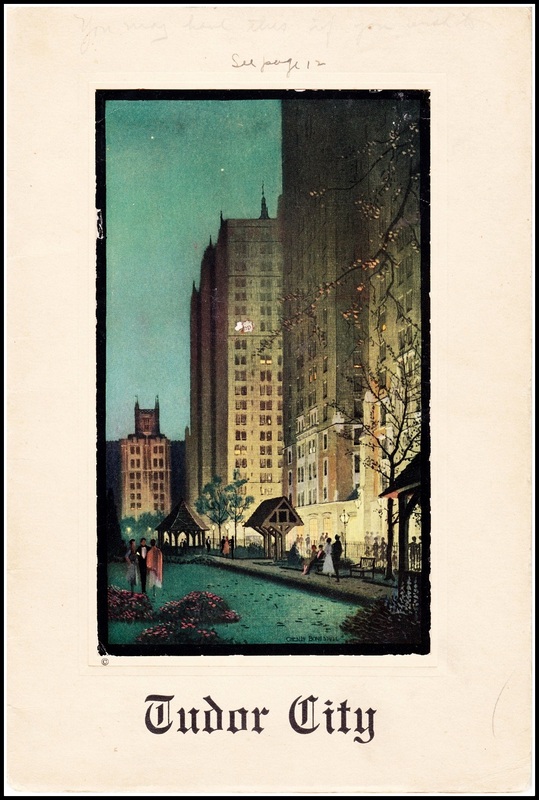 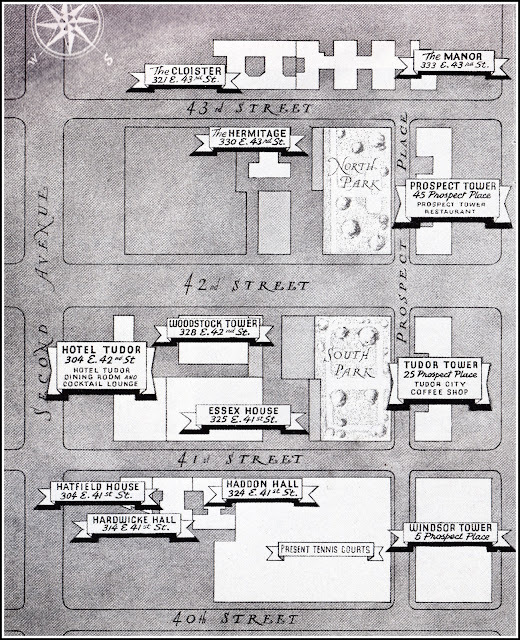 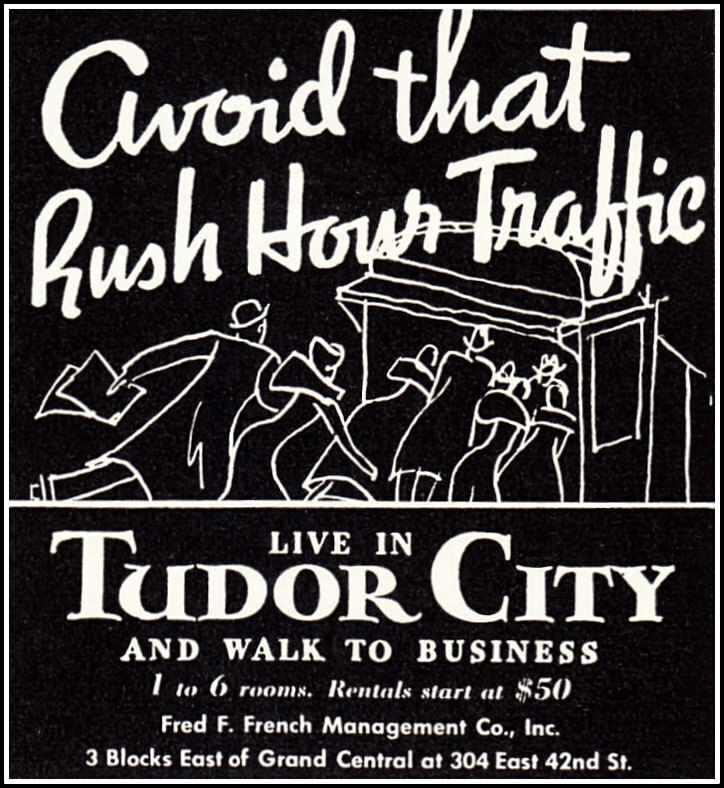 The Woodstock, Hotel Tudor, and the Daily News and the Chanin buildings dominate the landscape in 1948, though a few rowhouses and the service roads leading up to Tudor City Place remain. 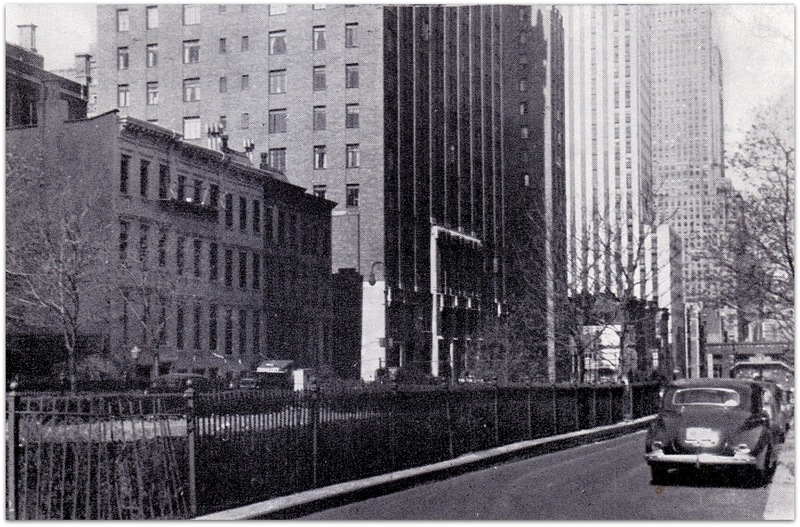 They will be gone in two years as part of the overall neighborhood spruce-up for the arrival of the U.N.
42nd Street widened, and the side roads and remaining rowhouses replaced by playgrounds and stone staircases in this contemporary view.